- Over 30 levels, ranging from animals and fruits to European countries, our solar system or greek mythology etc. - 20 bonus levels built specifically for kids up to an age of 8 years. - Two modes: Classic and Timed! 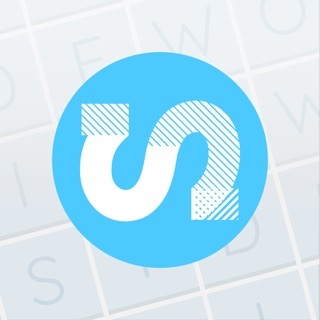 - Learn spelling and syllabification of words, plus new vocabulary! If you want to influence which topics will be added in the future, then join the official Subwords Discord channel! It's language time! This update brings support for French, Spanish, Italian and Portuguese! Plus, there is now an option to change to a Dyslexic font in the game. In this small release, I've fixed some Italian miss-translations and also improved scrolling for VoiceOver users. Overall an amazing game that is fun and definitely has replay ability. It’s easy to get the hang of, and it’s not very high stakes to just play against your personal best. It’s a game that doesn’t require luck, just a little knowledge and practice. I am generally hesitant to play games that I have to buy first, but this one was absolutely worth it! I’m only interested in casual and fun games because I’m always busy and don’t want to devote hours to my screen. This game is perfect for that because you can just play one level for a few minutes at a time. Absolutely amazing game!! This is much more of a trivia game then a word game. There are levels that are just outright impossible, ie: looking at forty bubbles that all contain two letters and being expected to construct ‘Video game characters’ from it. Other levels like the presidents was more realistic and far more fun. I find I do not do the majority of the ‘Timed’ challenges unless I have some familiarity of the subject, otherwise they simply can’t be done. Thankfully developer doesn’t require all levels to be finished to move on. Just pushing to do better each try will earn stars to keep moving on. Side note to the reviewer claiming to have finished the game with a perfect score.... BS you didn’t do it. Compliments to the developer for keeping their response generic with that Phony. - About Subwords not being a word game: You're correct that it isn't a pure word game, that's why I always say it's "a mix between a word and a trivia game". You still have to find words in word-game-fashion, but have to have certain knowledge to find these words. `Video Games Characters` might be super hard for you and that's totally understandable (its a pretty specific topic), but other people also find topics like European Cities or Our Solar System impossible hard too. That's why the hint system of the game is designed like it is. You can always get a hint by clicking the bulb without any penalty to learn a new word of this topic. If you do that a couple of times, you will know enough words to solve the next run without a hint. It’s not obvious in the photos and videos, but each level is randomly generated from a large word list, making it fun to play levels over and over again. Controls are simple and intuitive, and there’s no unnecessary limitations (e.g., you can re-arrange letter tiles manually). I highly recommend grabbing this game! Thanks for the review, love to hear that you like it! (: if you have any ideas for more levels - to make the replayability even better, shoot me a mail!